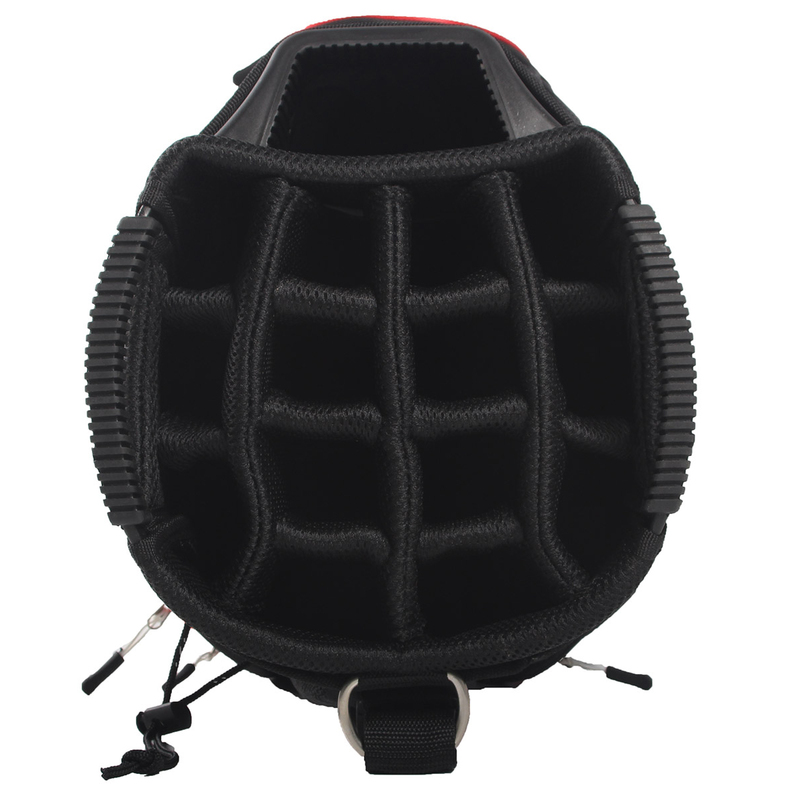 This bag has a large 9.5 inch top size, and has a 15-way divider graphite friendly separator top, with moulded handles for easy lifting on to your designated mode of transportation. 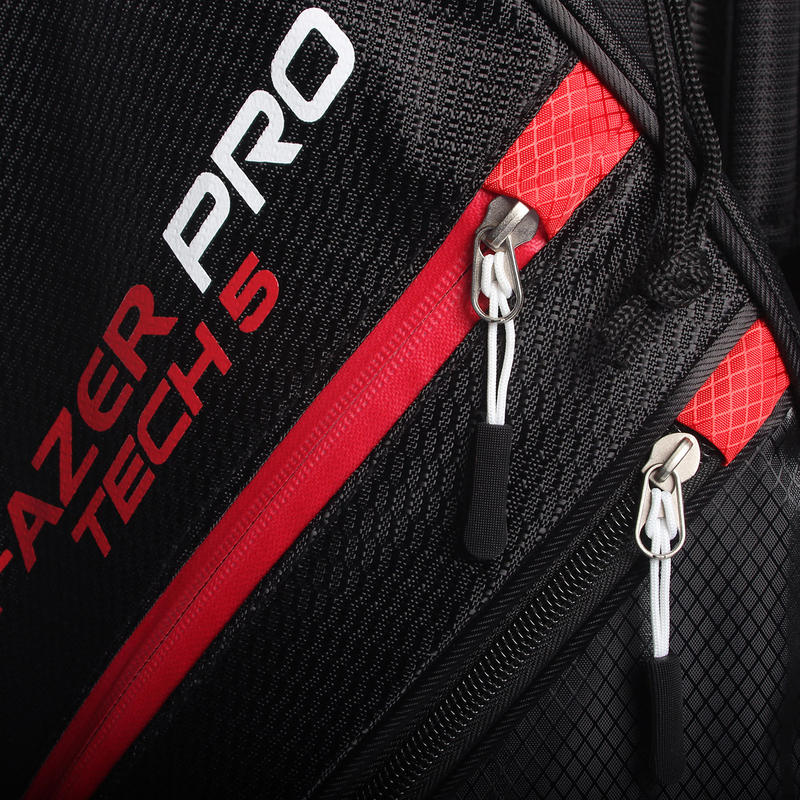 The lightweight nylon dobby material allows you to carry your bag around the golf course with you, without getting fatigued, meaning your game won't be affected and you can concentrate on performing to the best of your ability. 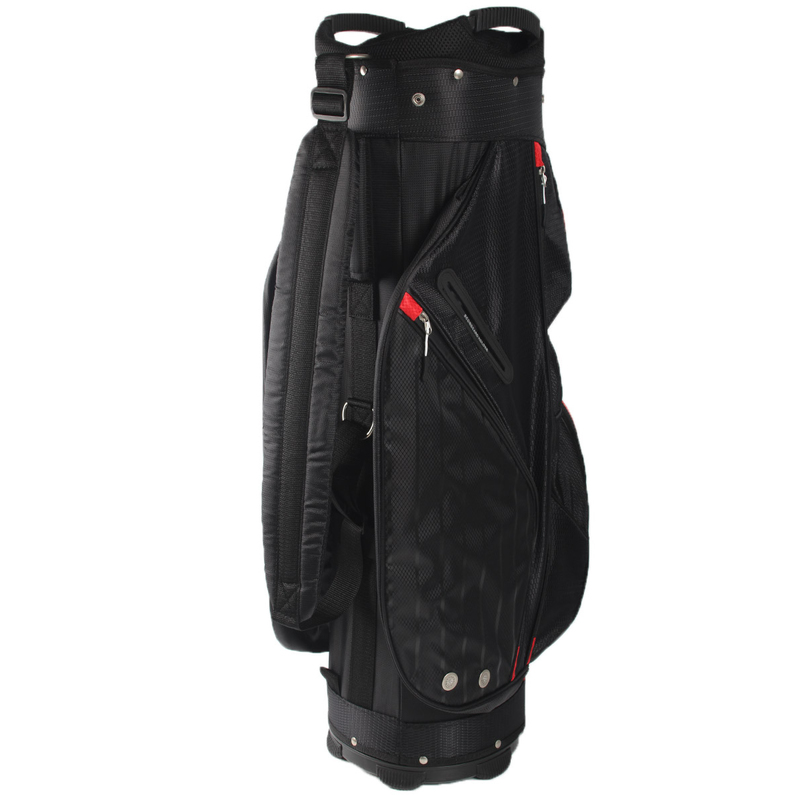 This bag also features a scorecard sleeve, towel ring with Velcro glove attachment along with an umbrella holder, all help to assist you around the golf course with ease. 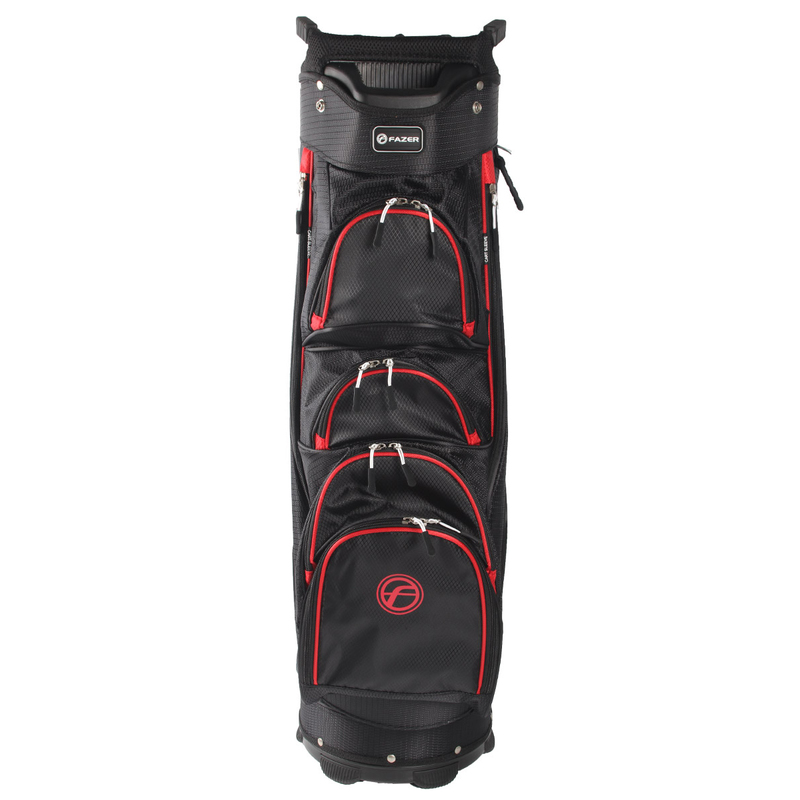 This allows you to keep all the essentials with you during your round of golf and will give you every chance of improving your overall game. 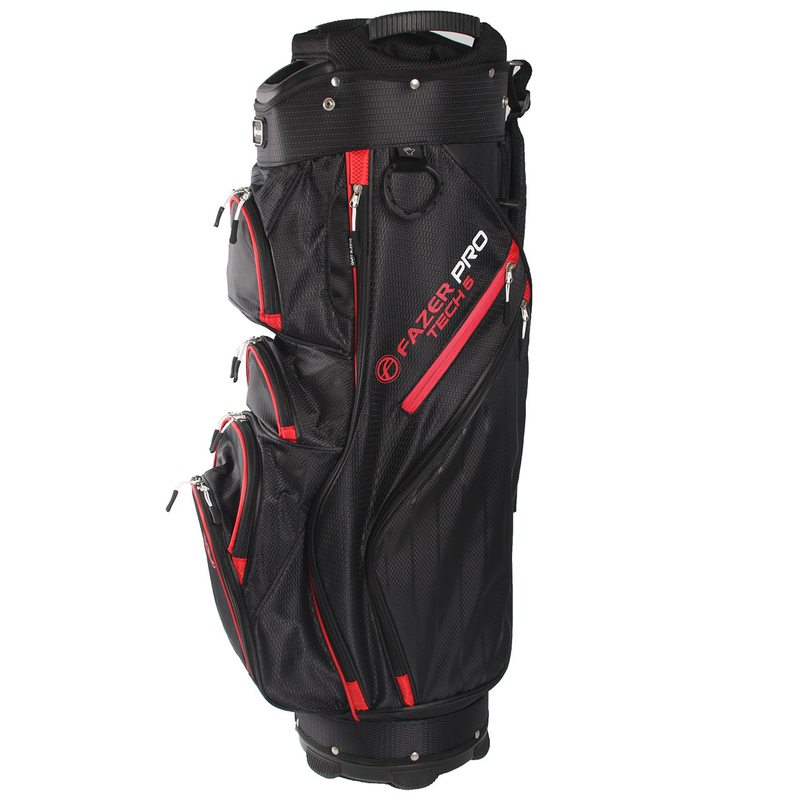 The bag features a rain hood, meaning you can keep you clubs dry and safe when out in poor weather condtitions. This rain hood will allow you to continue to play whatever the weather.